This is going to be a "I am Happy it is Spring" giveaway. I am starting a box today. It already has several little items in it. I am going to keep adding items over the month of April. The first week of May, I am going to mail the box to one of my neighbors! I will post when I have added something new, and when I do I will occasionally add a new way to enter. What else will I add? It just depends! You never know what might be added. Currently there are 2 travel type games, one travel pillow, a small box of Zoobs and a coupon for a free bottle of Purex. Be sure to share this giveaway with your friends! Hurry up and start entering and then be sure to stop back by to see what gets added! As you well know we have done quite a bit of adding to and improving the home here. Between re-doing the front porch, adding a walkway to the road and of course the back deck we were quite busy until winter set in. Then we all went in to hibernation mode, except for the trip to Florida. Well, now that spring is hopefully peeking around the corner, we are preparing to kick back into busy! Remember the deck? Now it needs stained since the wood has been allowed to season. We can get started as soon as all the snow is gone. This is where hopefully I will get to step in. Have I ever done any Boston Painting? No, but growing up with a father who worked for his father in a painting business, I did get some experience. I was able to help on weekends and over the summer. I started out just painting baseboards and cutting in windows and such, all the small jobs. Tedious work, but it not only taught patience, but now I can paint a whole room and do a pretty good job of it, if I do say so myself. I moved on to walls and ceilings and finally was able to do an entire room by myself. Over the years of being married I have painted many, many rooms. I really enjoyed designing the children's rooms over the years. Of course most of them are older now and prefer to have a room that does not have little characters and trees all over. The children laugh because sometimes I just want to change the look of a room and will get the urge to paint. They usually just step out of the way! I still like to paint when I can convince my husband that a room needs redone. So, now that the deck will need staining I might just jump in and help. Hurry up spring so we can get started! There is alot of deck and it will keep us quite busy. I don't think anyone will mind me helping. Do you have ant spring projects in mind? Leave a comment and tell us your plans. I am seriously so excited that spring is on it's way. Winter has lasted way too long this year. I mean we still have areas of snow melting in our yard. Amazing! Anyway I wanted to ask you about your spring cleaning. Do you hustle around and open windows and start cleaning at the first sign of spring? I do! To me it is just so nice to get fresh air circulating in the house, even if it is still a bit chilly. And of course spring is when I start cleaning. I want everything fresh! LYSOL is concerned about helping you clean and be healthy. They are calling it healthing! You can find out more about Healthing at the LYSOL website. So as you begin to plan dusting, cleaning, sweeping and wiping everything down, remember to also rid your home of those germs that have been brought in. Whether the children bring them in after playing outside, your spouse brings them home from work, or your pets might even tramp some in. 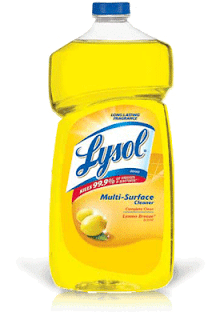 Start healthing with Lysol! You can download their Healthing Guidebook! Be sure to find LYSOLYSOL on Facebook too! LYSOL has so many products that can help with your spring healthing. Use LYSOL Disinfectant Spray on your nonporous surfaces to help clean and kill germs and it can also be sprayed in the air. I like to use this after someone has been sick. The bathroom is the next place I like to get really clean. Especially around the toilet. I also need to use a cleaner on the tub area regularly because the caulk in this older home seems to collect mold and mildew. I need something in here that will kill the germs that form the mold. I would say the major place I need to use LYSOL is around the dog area. Between dog beds, crates and their feeding area we need a cleaner that cleans and disinfects. I like to use a cleaner here that both cleans and disinfects. Between dirt, mud, snow and of course just being dogs, we are often cleaning their bedding areas. We vacuum, wash the bedding covers, bathe the dogs and of course disinfect on a regular basis. LYSOL works great here! 2. Know the difference between cleaning and disinfecting! Both are important components of the Healthing process and LYSOL® has products that can help with all related tasks. While cleaning and organizing is certainly important, killing germs on commonly touched surfaces can lower the risk of spreading bacteria and viruses between members of the family. 3. 1. Don’t forget to disinfect places that you don’t see or think about often, like the door knobs, cabinet handles or sink drains. These were my favorite! The first two are common sense type tips, but the second two are ones I need to remind myself, and my children off. How often we wipe down counters, clean toilets, wash out the garbage can, but we forget to clean handles on cabinets and doors. I would also have to say that dusting around pictures and especially the fan blades is another large oversight in our family. 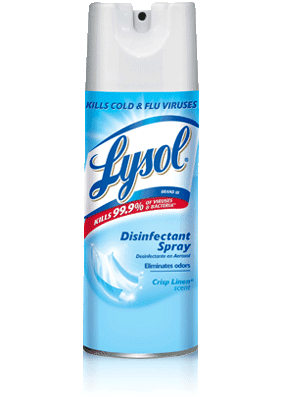 o Healthing is the extension of LYSOL and its Mission for Health, the motivation behind the creation of their products that are centered on killing 99.9 percent of germs and providing solutions for the home that help promote good hygiene and disinfection. o The idea of Healthing goes beyond cleaning – and looks more holistically at how a healthy home helps to keep families thriving. o One important way to integrate Healthing into your home is to understand the difference between cleaning and disinfecting, as both are important components of the Healthing process. While cleaning and organizing is certainly important, killing germs on commonly touched surfaces can lower the risk of spreading bacteria and viruses between family members. LYSOL is working together with Giuliana Rancic to visit YMCA's across the US in select markets to promote Healthing. They will be providing individuals and families who attend with hands on education about products and steps to improve hygiene in the home while making it interesting and fun for children. LYSOL will also provide educational information and disinfecting products to the local YMCAs, along with donating a one year membership to a deserving family. So neighbors be sure to visit the LYSOL website and their Facebook page to learn more about what LYSOL is doing to promote Healthing and see how this can help you and your family! Have a great day and let's start spring Healthing! 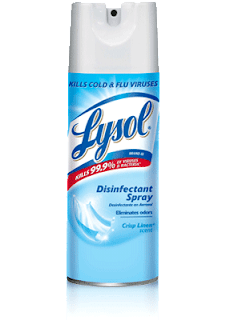 leave a comment and tell me your favorite LYSOL product and what you use it for! Disclosure:I participated in a campaign on behalf of Mom Central Consulting for LYSOL®. I received a promotional item to thank me for participating. I have a really neat product to share with you. It is called Picture Keeper. 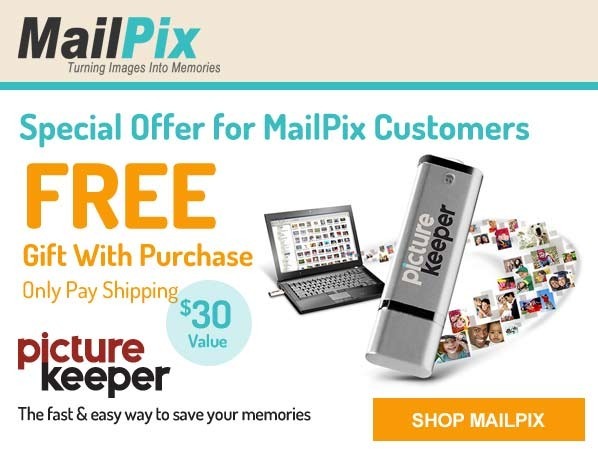 Right now MailPix is offering one free with every order placed. You only pay shipping! The Picture Keeper is so easy to use. Just plug it in to your computer via USB and it collects and stores all your photos. It will find your photos and then archive them for you. And it will only save them once, it won't double up every time you use it. Each time you plug it in it finds the new pictures and saves them. I like this! There are a couple of different Picture Keepers available with different storage sizes. And the Picture Keeper is compatible with both PC and Mac. Unfortunately, I filled mine the first time I connected to my PC. I think I need a larger one! Someone asked me the difference between a Picture Keeper and a flash drive. The biggest difference I would say is that the Picture Keeper automatically stores your photos, you don't have to go in and choose files. Also, it will not double store photos, unless of course you have one photo saved under two different file names. This is very handy! So if you have been thinking about placing an order with Mail Pix, now is the time to do it! Disclosure:I received no monetary compensation for this post. I did receive product for review purposes. All quotes in red are taken from the sponsor's website or email. All thoughts and opinions are my own! Here is another GREAT Dial Kids product! This is the Dial Kids Body + Hair Wash for ages 6+. It is Watery Melon scented. My daughter really likes the fragrance of this one! I also think she likes being able to use one bottle for both her hair and her body. Then of course she also likes that it is hers and she doesn't have to share with anyone else! Dial® gives kids a choice of lively, freshly scented products specially formulated to keep young skin soft and healthy. So clean can be as good feeling as it is good fun. Watery Melon is also tear free and hypoallergenic as it was also developed with pediatric dermatologists. You can rest assured that it is safe for your child's skin. I know I prefer my daughter to be using something designed for children rather than adults. Plus, like I said she sort of enjoys having her own that no one else is supposed to touch, especially since her slightly older sister has her own products for sensitive skin. Dial has been in the skin care business for 65 years. They are a name you can trust when it comes to skin care. Be sure to visit their Facebook page here and then follow them on Twitter here. Now, two neighbors will each receive one coupon for Dial Kids Body + Hair Wash. Thanks for stopping by and be sure to come back soon! Disclosure:I received no monetary compensation for this review. I did receive product for review purposes. All quotes in red are taken from the sponsor's website or email. All thoughts and opinions are my own. I have considered several places I would like to visit and one of them is Nantucket. It would be fun to stay in one of the Nantucket hotels and spend a week or so just to have fun! My family LOVES to visit the shore and this is one place we have never visited. We have been up and down the east coast, but somehow Nantucket has never been one of our destinations. Sometimes we like to camp, but hotel stays are even better! I like to visit and take pictures of lighthouses. Nantucket has three of them, Brant Point Light, Sankaty Head Light and Great Point Light. I would want to visit all three. Sunrise and sunset scenes, the beach, and of course the children having fun also make great pictures! As a rule we like to take long walks along the shore, collecting shells, sand dollars and other interesting items. Previously we have found seahorses and sharks teeth. Picnics on the beach are fun too as long as it is not too crowded or too windy. And of course bike rides on the beach are at the top of our list. You need beach cruisers for this, so we would probably have to rent some. We would probably also visit some of the museums. There is a whaling museum that looks like it would be really fun to visit. You can see the 46 foot skeleton of a Sperm Whale found New Years Day in 1998. There are several other historic sites we would include in our visit like the Old Mill and Quaker Meeting House. I think the kids would like to visit the Aquarium too! They have a touch tank where children can touch some of the sea creatures. And you can take one of their marine life walks. A boat tour would be on my to do list. There are whale watches, seal cruises, and even sailboat adventures. Could you imagine seeing whales and seals? More photo opps! I think we could have a good time exploring Nantucket. Have any of my neighbors ever visited Nantucket? Can you recommend some good sites to visit? Or perhaps you know of a good restaurant in the area? Leave a comment! Thanks again for visiting At the Fence and come back by soon for another visit. I thought about signing up for an affiliate marketing program, but I am not sure if I want to or not. Have any of you ever worked with orangesoda affiliate marketing? I am just not sure on the decision yet. What do my neighbors think? Would it just be a distraction on the site, or do you think you might enjoy having affiliate ads on At the Fence? I know there are a few sites that I have seen and that have way too much on their sites. Their pages are just much too cluttered. You know what I am talking about, they seem to advertise on every corner of their site every product they have ever reviewed. I don't want to look like that. I want At the Fence to be a pleasant place to visit. Somewhere you can stop, take a break from your busy day and find interesting articles, reviews, and giveaways. Not where you are constantly having ads appear, requesting you to purchase something and popping up on every article. I need some feedback from my neighbors here. I already do sponsored posts and some guest posts, but I usually try to monitor those and keep them family friendly. I have even turned down a couple offers that although the post was fine, the page they linked to was not my idea of family acceptable. Not often, but it does happen. I am a little pickier than some because I won't allow links to sites that mention gambling, casino games, or even pages where their ads show questionable pictures. I don't want to have someone reading a post and then clicking through to an offensive link. So, what do you think? Would an occasional ad be fine? At the end of posts or in the sidebar? Do you prefer we stay just the way we are? What suggestions do you have to help improve At the Fence? Would you like to see recipes? More photos? Special Articles? Take a minute to let me know in a comment what you think will help improve At the Fence. Thanks for stopping by and come back for a visit soon, At the Fence! Here is a really great product for review, Dial Kids. We received the Peachy Clean body wash for children ages 2+. It smells really great! Dial has been developing trusted personal care products for clean, healthy skin for 65 years. Now they are moving into kid's personal care with their new Dial Kids Body& Hair Wash. Not only that, but they offer age appropriate products. The new line was developed with pediatric dermatologists. They combined the shampoo and body wash to make a GREAT 2 in 1 formula for one speedy step. Dial Kids Body & Hair Wash is created for those children who have outgrown newborn soaps, yet are not ready for adult strength body and hair products. The product provides gentle cleansing with a nice, pleasant scent. And it is fun for them to have their own nourishing body wash! Two of my neighbors will each receive a coupon for a free Dial Kids Body & Hair Wash. Be sure to visit with us here At the Fence soon. We look forward to seeing you! Disclosure:I received no monetary compensation for this review. I did receive product for review purposes. All quotes in red are taken from the sponsor's website or email. All thoughts and opinions are mine. Recently, we had our vehicles in for a routine check-up, along with our friends vehicle. He used to live in Ohio and go to a place like: autoservicecolumbusohio.com. So this time he went to the same shop we did. We had a coupon for a routine checkup that they allowed us to use on all four vehicles. Yes, I said all four! We took three of them in the same day. One of his was towed in, because after sitting in the cold and snow for a few weeks the emergency brake would not release. So we knew before we started that at least one repair was needed! My husband and one of our sons drove the other two vehicles over. They had to hang around for a couple of hours until one of the vehicles was done so they could drive home. That was not a problem because they went to a couple of stores and then had lunch together. Mexican of course! The first vehicle just needed the brakes repaired, a minor repair. Then came the bad news. Both other vehicles had a couple of more costly repairs. They needed brakes replaced, there was a leaky coolant hose, and one needed bearings replaced. They were able to get two of them done and one had to stay overnight. The next morning our daughter drove over with my husband to pick up the other vehicle. In the meantime my son took the pickup truck to work. 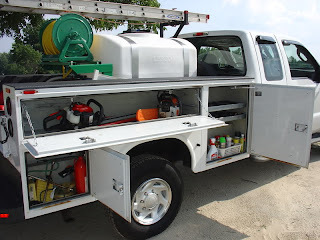 We had not sent the truck in to be serviced because it was a reasonably recent purchase. Well, we received a call and our son told us that he was ready to come home, but the truck would not start. He managed to get a jump and drove straight home. My husband called the service department and spoke to the same man who had done the work on the other vehicles. He offered to pick the truck up the next morning and check it out for us. When we received his phone call later in the day he said it must have just been the cold as they could find no other problems. We had him go ahead and do the oil and lube and we would pick it up later that day. He offered to deliver it back to us, but we had to run out anyway. We were extremely pleased with the service. Not only did they do the repairs in a timely manner, they also allowed us to use the coupon for the maintenance check and the oil and lube for all four vehicles. Nice! Ant neighbors out there that have a special auto repair shop they use? Is there a reason why you chose a certain shop? Leave a comment and let us know. Have you had any plumbing problems this winter? We have had some minor outside ones. Right before winter set in we unhooked all the hoses to the sprinklers up front. Then we drained all the hoses. We left them in place, but they were drained and dried out before the first freeze ever hit. We covered most exposed pipes. So there were no problems there. The problems began with the first freeze when we went to water the dogs, rabbits and to clean the kennels. No water! That was a problem. How do you hose out kennels without water? Well, we decided we would just not use the smaller kennels. We used a push broom and cleaned them the best we could and when we had a nice day and actually had water we went ahead and cleaned them and then didn't use them much the rest of the winter. The rabbits were a little easier to solve, but it took more work. We purchased extra water bottles and twice a day went out and made sure they had not frozen. If they did freeze, we quickly replaced them with a bottle from inside and then brought the frozen one in to defrost. We did lose a few bottles that cracked in the cold and we had to replace them, but at least they had water all winter long. They are in a shed, so it is protected from the wind and stays a little warmer than outside. We are going to try to figure out a better solution for next year. I am not sure what, but I am open to suggestions. The only other problem we had was the first part of the winter we left a four spigot connector attached to our outside spigot where we water the dogs. unfortunately the temperature dropped enough that it froze and cracked. We had to remove it, not fun in the cold winter wind, and we will replace it if we ever experience spring here. At least none of the pipes burst. I think we are going to lay some underground pipes out to the shed and kennels, but I am not sure if they will work over the winter or if they will still freeze. Any of my neighbors have a solution? What sort of precautions do you take for your pipes for winter? Thanks again for stopping by At the Fence! I look forward to seeing you soon. Would you believe I lost my wedding ring not once, not twice, but three times! Now I did not loose my wedding rings Utah, Arizona, or New Mexico, but it was in the south twice. We started out with matching wedding bands. Not expensive, but nice. About two to three months after we were married we went to the beach and were tossing a football around. Somehow in all the fun and excitement, my ring flew off. Needless to say we never saw it again. Between the sand and everyone running it around it was lost forever. Move forward about two years. We had replaced my wedding band, but it no longer matched. At this time I was expecting our first child. Like many women, I experienced swollen fingers, so I occasionally removed my band and placed it in a safe place. Usually on a tray in our bedroom, or if we were out I zipped it into a pocket in my wallet. Well...one time while we were out I forgot to bring my purse. My fingers started swelling, so I removed my ring. I gave it to my husband and asked him to carry it for me until we arrived home. I forgot to ask for it back when we returned to the house. A day or two later I remembered giving it to him and asked him to give it to me so I could put it back on. Oh no! It was missing. Somehow it had fallen out of his wallet and we had no clue where. Several years later I had a new ring. It had three diamond chips. One larger one in the center and then two smaller ones on each side. I noticed that one of the small chips had fallen out, so we took it to the store to have it replaced. We had purchased a warranty on it, so we just had to send it in and wait. Three weeks later I had my ring back and it looked great. Move forward to a trip to Chicago. I was working on my laptop and decided to take the ring off. I laid it on my laptop keyboard before going to bed. In the morning we had to run some errands, so some of us ran out while others packed the hotel rooms as we were heading out that day. I forgot all about the ring until we arrived home. Guess what? Yes! It happened again. No ring. We searched the luggage, the laptop bag, the vehicle and we called the hotel. No ring. Three times I have lost my ring. I have a new set now. We still do not match, but that is OK. Have you ever lost your wedding ring? Or perhaps another important piece of jewelry? Thank you for allowing me to share this story with you. See you soon At the Fence! My husband used to work for a company that had requirements and regulations that needed to be met for their trucks to be on the road. Now I am not sure if they hired contractors to make sure they met and exceeded all the regulations for this. I am sure if they did they participated in contractor screening. If they hired a contractor they would want to make sure he had a good record. He drove a truck something like this one. Not only were there requirements for the trucks, there were also rules and regulations for the chemicals they carried. He worked with a lawn spraying company that sprayed both commercial and individuals lawns. Since the company fertilized lawns and sprayed for bugs they had to lock all chemicals up at the end of each day. Sometimes there were random checks to see if the chemical had been locked up properly. Rules were in place as to how the chemical could be carried in the trucks, stored, and of course if there were any spills they had to be reported and cleaned up correctly. There were certain water supply holes (for want of a better term) around the county where they were able to fill their trucks and mix the chemicals. Even here they had to be sure they did not spill the dry chemical or overfill the truck, where it would leak on the ground. One time one of the men was talking and not watching his tank and the truck overflowed. When there was the occasional spill they had to call the supervisors and then have cleanup equipment brought out. Fortunately they seldom had large spills. The trucks had emergency equipment that was required to be carried. Another thing I can remember is when one of the men was stopped in a local city and they were told that they all were required to have a different class drivers license. Every employee who drove a truck had to go down and get a new license before they could go back out on the road. It backed their work up a few days. The uniforms they wore included heavy rubber boots and gloves. You could actually smell the chemical on my husband when he returned home and he would shower and clean up before the children hugged him. I am glad he is no longer with this company just because of the exposure to the chemicals. Disclosure:This is a sponsored post however all thoughts and opinions are my own. What Kind of Shaving Products Do You and Your Family Use? I was just wondering what kind of shaving products you and your family use. I mean each member of my family seems to have a slightly different routine and they use different products. The older girls like to use shaving gels, usually with a moisturizer in it. They each have their own. My younger two girls are shaving now and one of them uses a shaving cream. They often apply a moisturizing lotion afterward. My husband only shaves his neck and he uses a disposable razor with shaving cream and sometimes a gel. My oldest son uses an electric razor we bought him after he started his job. He finds this much easier to use as he shaves daily. My younger son has a unique razor as it charges with a USB cord if needed. My daughter found it for his birthday. Both boys use a moisturizer or after shave when they are done shaving. Sometimes when they both shave near the same time, you do not want to enter their bathroom. It ends up smelling pretty strong. I use a shaving gel with a moisturizer. I have a tendency towards dry skin, so shaving always dries it out even more. When I was in high school I tried some of the hair removal lotions. You know the ones you apply, allow them to sit a short time and then wipe them off. These worked pretty good, but now that my skin is more sensitive I really don't want to use them anymore. Now, I must say, when I started writing this post I it made me wonder when women actually started shaving and why. Not so amazing to me is that it was due to fashion in the early 1900's when sleeveless dresses became popular. That is when you started seeing ads for women's razors and such. And I assume the same thing happened with shaving legs as skirts and dresses began to be worn shorter. it was funny because even the word "armpit" was considered vulgar at that point in history. I will make a confession here and tell you, I can understand not wanting to shave your legs, or at least not as often. I am sure there are hygienic reasons for shaving the armpits, but I don't see a health reason for shaving the legs. What women will do to be in fashion has often amused me and I guess this is just one more area where fashion dictates. What do you, my neighbors think? Do you have any special techniques you use for shaving? Special products maybe? See you later At the Fence! I was given the chance to review the Adventus MusIQ Homeschool program through the TOS Crew. 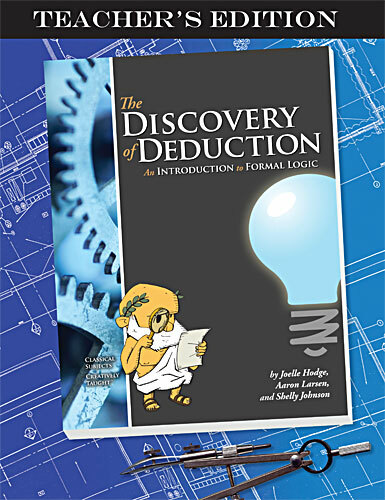 This program is designed for ages 4-Adult. For this program you did need internet connection and a midi keyboard. These are required. You can choose monthly payments of $10.95 a month which includes unlimited, full-feature access. Or if you prefer to purchase the CD version, there are still many options to choose from. 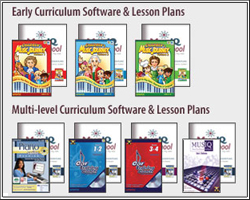 You can purchase just the early learning portion for ages 4-10, the entire program for all ages, year by year, or there is a bundle that even includes a keyboard. You can learn more about the multi-level pricing options here. My 12 year old has been desiring to learn piano for some time. Unfortunately because we travel so much this has not been possible. She has occasionally received instruction from individuals we know when we were in their area, but then you run into each person playing a little differently. So we decided this program would be perfect for her. Even if we had to travel, she could bring the keyboard with us and practice on the road in the hotel room. We received the downloads and then just had to fire up our keyboard attach the midi cable and she was ready to go. We have a keyboard that can be connected to the computer through a USB connection. You can also use a midi to USB adapter. Early Curriculum: Windows 7/Vista/XP/2000 or Macintosh OSX and an internet connection. Multi-level Curriculum: Windows 7/Vista/XP/2000 and an internet connection. My twelve year old is scheduled to use the program three times a week. My fifteen year old is starting also as she finished another elective and now has an opening for the MusIQ Homeschool Program. The program is easy enough to use, that even if you, the parent, are not musically inclined your child will be able to do this course without much help from you. Both my daughters are enjoying this program. The fifteen year old plays some already by ear, so this program will help her with reading the music and thus being able to play out of a book. I really like the way this walks them through learning notes, the staff, melody, timing and other parts of music. One of the first things they learned was proper hand placement, which my twelve year old needed. There is a whole section on composers and their music. We personally do not listen to or play music other than hymns and Christian songs, but we did find a few that were interesting. My older daughter enjoyed playing some of the hymns that can be found in the Piano Player portion. Theory Thinker is where they actually learn more about actually playing. Composer's Corner teaches about allows the student to go in and create their own music. History Happens is where they learn about composers throughout history and of course the Games section is where they play games that also help teach them about music. The only drawback we had was occasionally our mouse would freeze. We quickly learned when this happened if we just logged out and then back in we did not have a problem. Overall I am very happy to have this program in the home. I have seen improvement and of course I have not had to beg them to practice. They both enjoy exploring the program. I have a feeling we may have to continue this program after our membership ends. 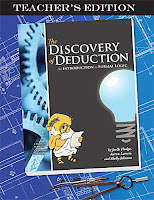 This definitely a worthwhile investment for homeschooling families. Be sure to click the link below to see what other Crew Members have to say. Recently we have been talking quite a bit about where each family member would like to live. One of my older daughters would LOVE to live in Texas. She enjoys when we visit there. One of my sons on the other hand enjoyed the mountains of Utah and Arizona. One likes Tennessee and the surrounding areas. As far as Kansas City Real Estate goes, no one has ever said they would like to live there, but who knows. We will be visiting the area in the near future. One of the many benefits of traveling is visiting all these states. Now, one thing I like to do is look at homes. So I enjoyed recently helping a friend research for a home. You can actually do most of your research online and then narrow down which homes you actually want to look at. I mean, with a family our size we definitely would not be looking at a one or two bedroom. Our dream home would be on at least five acres, with lots of trees. A small pond or stream would be great. I would like the home to sit back from the road and of course I would like the yard fenced. A garage and a small shed would be ideal. The garage for the vehicle of course and the shed for our rabbits! We would probably build a couple of dog runs, so the dogs could be outside safely. The home would need at least four bedrooms. One for my husband and I, one for the older girls, one for the 2 boys and then one for the younger girls. Upstairs bedrooms would be nice, but not necessary. It would be nice to have a large dining room with room enough to seat all of us comfortably and maybe allow for a few guests. I would like a large airy kitchen with plenty of storage and working space. Since I have four daughters that all like to cook and bake we spend quite a bit of time in the kitchen. The kitchen definitely needs to be well lit. We recently had a problem with one of our ceiling lights and had to bring in a couple of lamps until it was repaired. A laundry room is a necessity because we do so much laundry. I have spent enough time and quarters running to laundromats. I would like a line outside so we could dry the clothing outside when the weather is good. Plenty of windows would be needed too. We like to let in fresh air when we can, besides which it helps light up the rooms. And of course I would love to have my back deck there too! Am I dreaming? Sure, but it is fun! Maybe next time I will share my dream home for after the children are all married! Do you like to look at homes? What and where would your dream home be? Thanks for stopping by today. Be sure to come back and visit At the Fence soon! I wanted to thank Lori for allowing me to introduce myself and my blog here on Meeting Monday. It's a real pleasure to be here. My name is Karen and I've been blogging over at Tots and Me for a little over 3 years. My husband and I have 4 young children who we are homeschooling, though we both have older children from previous marriages who have gone through/are going through the public school system. Our older children do not find their way on to my blog very often as they are out of the house (being 21, 20, 20, 20, 19, 18 and 16 years of age). Dealing with the school system for so many years is one of the many reasons we know we want to homeschool our young children. When I started my blog, Tabitha was 2 years old and I had been doing random crafts with her for a while. We had just started focusing on a letter of the week and I wanted to be able to share with other moms. Tabitha is now 6 years old and we started our My Father's World Kindergarten curriculum back in August. She has been reading since she was 3 1/2, loves to draw and seems to be a natural at math. She loves to make believe with her imaginary friends. She is such a big helper with her siblings, but mainly with her baby brother. Amelia was only 1 year old when I started my blog, however, she was involved in a lot of the crafts and activities we were doing. She was learning right alongside her sister. She is now 4 1/2 years old and has been tagging along in the My Father's World curriculum. Thanks to the Schoolhouse Review Crew she also has her own math curriculum with TouchMath. 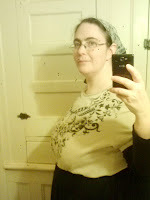 She has just recently started reading beginner books to her dad and I.
Hannah was not yet born when I started my blog. When I was pregnant with her (and during her early newborn months) we didn't get a lot of "schoolwork" done. However, she has been included in our schoolwork for a while now. She is going to be turning 3 in less than a month and has been learning her letters, colors, shapes and numbers. She loves to draw, in fact she would probably draw all day if I let her (and if I could afford the paper). Baby Harold came along last year and has made everything a real challenge. There are days I am not sure how to handle 4 children, but I wouldn't have it any other way. By the Lord's grace I have been able to continue with our school time. Harold is now a year old and I think we are finally getting into a routine, though I worry that I don't do as much with him and Hannah as I did with Tabitha and Amelia. He has been crawling and climbing steps for a while. He can stand without holding on and is just starting to take a few steps. Out of all my children he is my latest walker. Sometimes I wonder if younger children don't walk as soon because it is easier to keep up with older siblings while crawling at top speed than while toddling unsteadily on two legs. I started my blog to share the different activities and crafts the girls and I were doing. 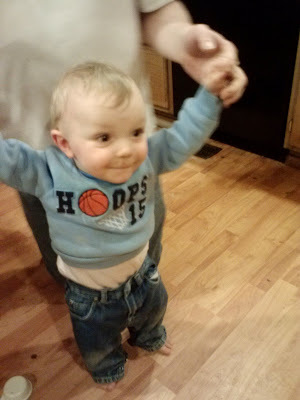 As time went on we started officially home "preschooling" and I would share our weekly updates along with books we were reading, recipes we were making, and lots of random pictures. We are very relaxed in our homeschooling for the present. I have a background working in a Montessori Children's House, so I have included some activities in the past. I have just recently started them up again with Hannah. I only have experience with the toddler and preschool age in Montessori, so I am at a loss of how to implement it with the older girls. I don't get to blog about our weeks as often as I would like because I have trouble finding time to get on the computer and actually concentrate. The blog has evolved a bit over the years, but I am trying to bring it back to what it was. I have several weekly features I try to keep up with, plus reviews and giveaways. I invite you to stop over to check out Muffin Tin Monday, Tuesday's Giveaway Link Up, Wordless Wednesday Linky, Kids and a Mom in the Kitchen and Lovin' The Weekend Blog Hops (and Giveaway Linky). I also participate in the photo challenge, Scavenger Hunt Sunday and have just started to attempt Blogging Through the Alphabet. We are spring cleaning today, even though I am not sure spring is here yet! Someone said we were going to get snow again tomorrow! So, while we are cleaning I want to share the Soft Scrub Advanced Surface Cleaner*Polish. It can be used on many surfaces, like; granite, stainless steel, marble, etc. My favorite place to use it though is on my glass top stove! It works wonders. I had a cleaner I was using on a regular basis before, but I will be moving over to Soft Scrub Advanced Surface from now on. I am really hoping you can see from the pictures how well it works. Unfortunately, because it is a glass top, I had trouble taking a picture without a glare. Trust me though, it worked great. One of the children had boiled some pasta and the water boiled over leaving a mess on the stove top. After allowing it to cool, I used the Soft Scrub Advanced Surface. It cleaned it off, easily. I am really trying to keep the stove top clean and looking nice, so I really like the Soft Scrub. OK, now for the technical stuff. The new Advanced Surface is a rinse free gel that cleans and polishes. You can use this on your toughest stains even on your most delicate surfaces, like my glass top stove. There is no rinsing required, just apply Soft scrub Advanced Surface and then wipe away with a sponge, cloth or paper towel. 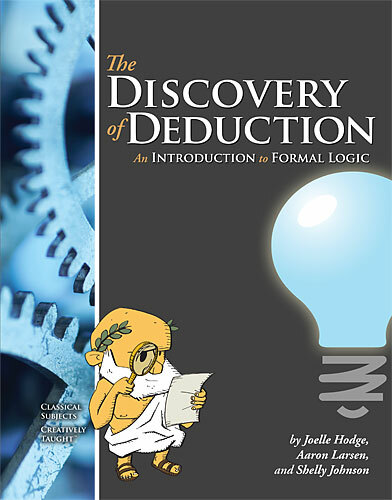 How simple can it get? Two neighbors will each receive one coupon for a free bottle of Soft Scrub. You can actually choose any one of their products. Hurry up and enter. Then stop by the Soft Scrub page to enter their Sweepstakes. Use the URL below. Thanks for stopping by At the Fence! I look forward to seeing you soon! Disclosure:I received no monetary compensation for this post. I did receive product for review purposes. All quotes in red come from the sponsor's website or email. All thoughts and opinions are my own.